Comments: Makes an attractive, evergreen, dense carpet with white edged foliage. 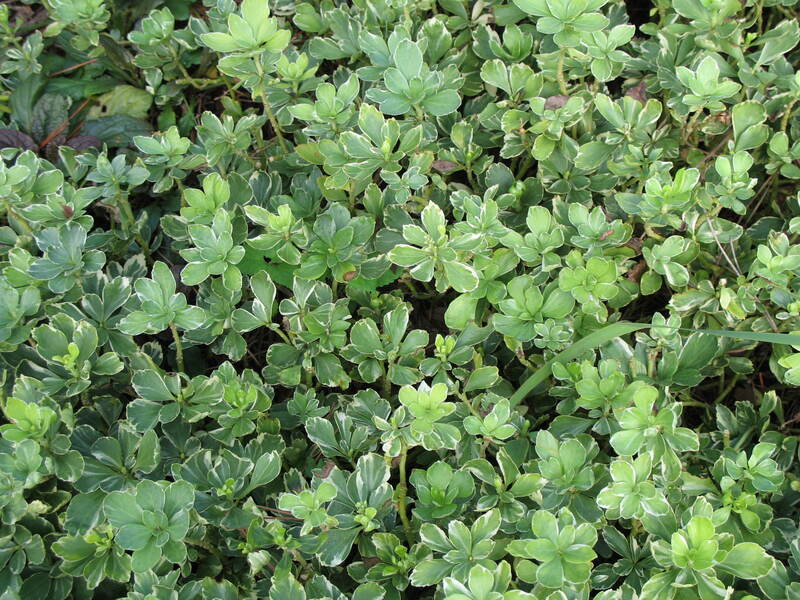 One of the best ground covers adapted for use over a wide area of the country. It is effective as a border or edging plant along drives and walks. It is reported to be resistant to browsing by deer.